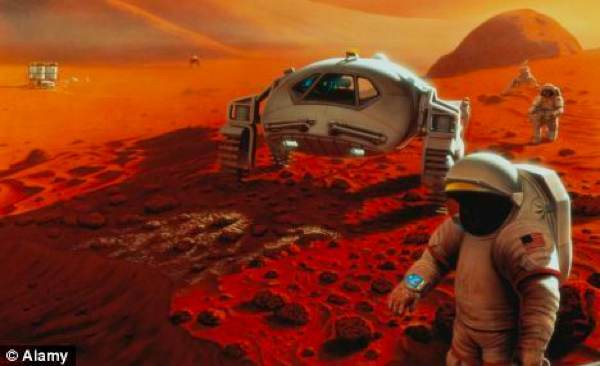 For a while now, there has been a conversation going on in certain circles (you know, space circles): namely, if the most prohibitive part of a manned flight to Mars would be the return trip, why bother returning at all? And besides the whole "dying alone on a hostile planet 55-million-plus kilometers from your family, friends, and loved ones" thing, we think it's a pretty solid consideration. This is just one of the topics of discussion at a recent Long Now Foundation event in San Francisco, where NASA Ames Research Center Director Pete Worden discussed the Hundred Year Starship Initiative, a project NASA Ames and DARPA are undertaking to fund a mission to the red planet by 2030. Indeed if the space program "is now really aimed at settling other worlds," as Worden said, what better way to encourage a permanent settlement than the promise that there will be no coming back -- unless, of course, they figure out how to return on their own. Of course, it's not like they're being left to die: the astronauts can expect supplies from home while they figure out how to get things up and running. As Arizona State University's Dr. Paul Davies, author of a recent paper in Journal of Cosmology, writes, "It would really be little different from the first white settlers of the North American continent, who left Europe with little expectation of return." Except with much less gravity. See Worden spout off in the video after the break. Hundred Year Starship Initiative plans to put people on Mars by 2030, bring them back by... well, never (video) originally appeared on Engadget on Sun, 31 Oct 2010 03:03:00 EDT. Please see our terms for use of feeds.